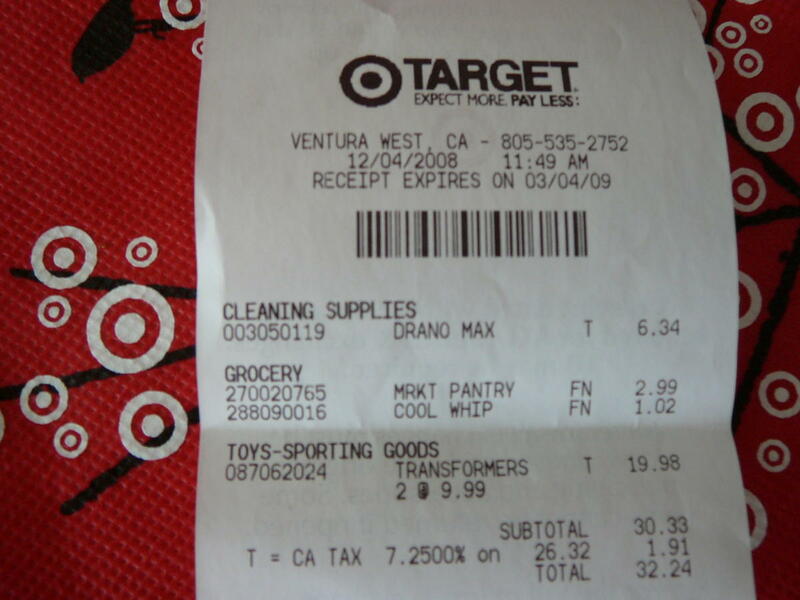 2005 Boards member Nightrain reports finding the Universe Deluxe Wave 4 (2009 Wave 1) assortment at a Target in Ventura, California. Wave 4 consists of Autobot Hound with Ravage, Cheetor, Cyclonus with Nightstick, and Starscream. Click on the image to the left for picture proof from the sighting. Some STL TRU's are getting them in now too. Waiting for the restock to nab them and photo. SC tru will have them tomorrow. 7am. where in GA, and what store? Im in SC so depending on where and when for you may determin for me. they're in cape missouri too. I'm in North County dude. Heh, I'm glad I didn't make the drive from my work in La Jolla to that Target to check after work; would've been a huge waste of time. But yeah, I've been to basically all the Targets in North County and asked them about the Universe Deluxes and if they have any in the back, and they either had crap in the back or didn't have anything and were waiting for a shipment later this week. The Wal-Marts up here actually did some massive restocks; when I stopped by there this morning they were stocked full of new Animated Activators (the Grimlock wave) and the new Animated Shockwaves and Skywarps. Well, Targets in San Diego don't even have additional shipments of Universe Deluxes in the back, which seems to indicate that Cyclonus and Hound might be making their appearance here later this week. Dude, what part of SD are you from? I'm up in the Kearny Mesa area. The target out here is full of Sideswipes and Galvatrons right now…although there was quite a few of the Springer/Ratbat double packs of which I have NO interest in whatsoever. The walmarts are a little better, except they are mostly full of ironhides, I guess the SD fans are waiting for Henkei and didn't want the blue face from Hasbro. i think i'll wait for Henkei Cyclonus. I'll treat him as a special purchase. Hasbro Cyclonus just isn't right to me. Hasbro version cause I'm impatient, and got it for under $8 at HTS, and Henkei version because I think it looks better. So no Universe Wave 4. Had to decide between Ironihide, Sideswipe, Sentinel Prime, and Snarl. Eh, I went with the Animated stuff. Quite happy with them. Thanks to the So. 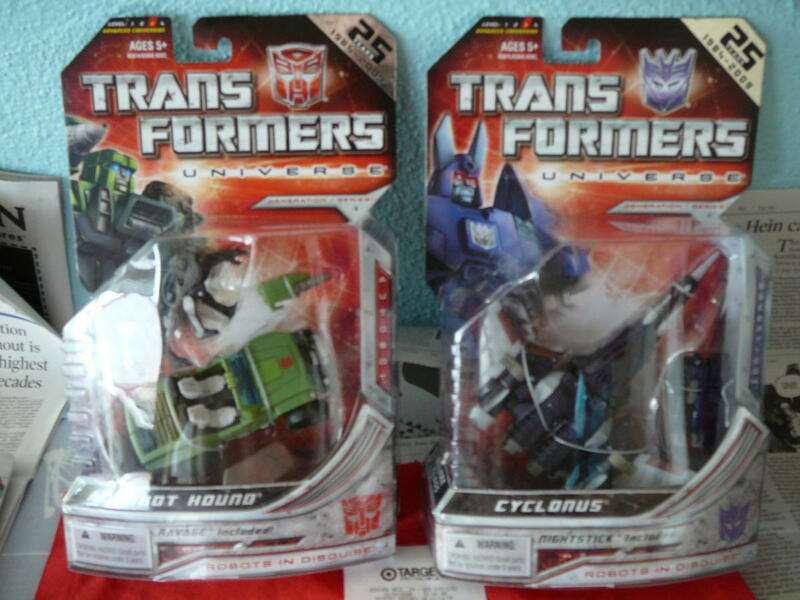 Cal folks first reported yesterday… the wave 4 Universe are found in at least one Target in Nor. Cal… It is on the way !!! or been shipped one box each earlier…. I have no idea how many… but the Target has more pegs to hold many more… or unless the store crew tried to tease us one box set per day to avoid scalpers…. It would be the same DPCI as the previous three waves of the line and would only tell you that deluxes were on the premises, not which wave. Anyone have the DCPI# for these guys? All times are GMT -4. The time now is 8:35 AM.